Hola Darla: Dara's Thoughts on "Star Wars: The Last Jedi"
Dara's Thoughts on "Star Wars: The Last Jedi"
It's been a year since our hearts were collectively broken by Rogue One and then by the news of Carrie Fisher's passing away. Has your heart been healed? I thought mine had, but then I watched The Last Jedi and saw that dedication and my gut got punched. Ouch! Some spoilers below, so beware! 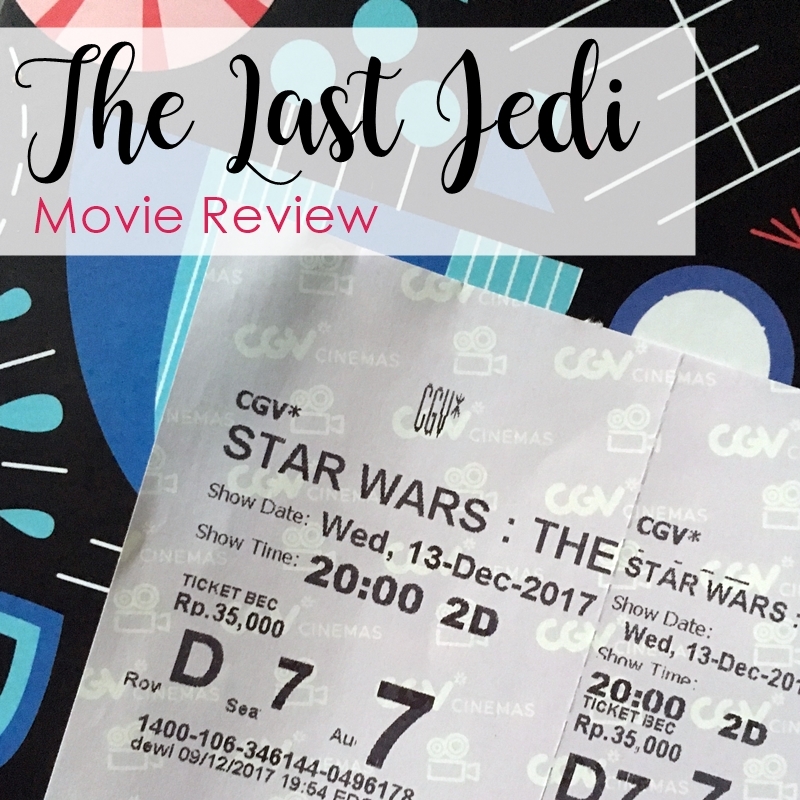 It wasn't until I started writing this post did I realize that I didn't really enjoy The Last Jedi. Like a lot of Star Wars fans, I went to see this movie with some expectations; I thought I would get some answers to the two biggest questions I had had since seeing The Force Awakens: who the hell is Snoke and who are Rey's parents? So, did I get the answers from TLJ? Nope. I still have no idea who Snoke really is (was?) and Rey's parents are nobodies, or so according to Kylo Ren. The other things that bothered me are the jokes. You see, the reason why I like MCU better than DCEU is the fact that MCU has actually funny moments cleverly inserted into even the darkest scenes in its movies. So I kinda found it nice that TLJ has jokes in it, BUT there were just too many. Maybe I'm remembering the character wrong, but there were moments when I saw Luke did something that wasn't too Luke-y but more like Mark Hamill-y (get it?). Also, there were moments when I thought that Poe acted so darn rude to people who were supposed to be in higher ranks than him. Then there was also Finn and Rose's journey to the casino which I think was such a useless distraction and didn't contribute to the whole plot at all. They didn't kill off Leia though, so I'm looking forward to how they will deal with the loss of Carrie Fisher. Also, Porgs aren't cute. They're annoying. There. I said all of it. Now, what do you think about The Last Jedi?